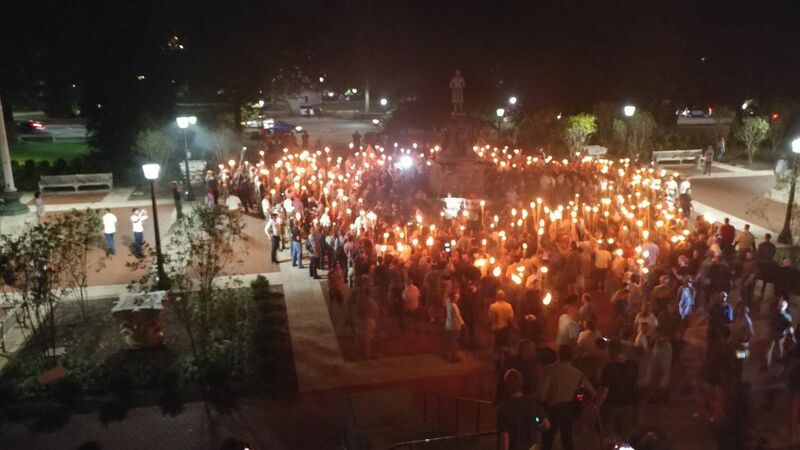 A group of white nationalists held a torch-lit rally at Emancipation Park in Downtown Charlottesville. The Charlottesville Police Department says between 40 to 50 people, including alt-right leader Richard Spencer, held a tiki torch-lit rally in Emancipation Park around 7:40 p.m. Saturday. Officers say the rally lasted about five to 10 minutes before the group boarded a tour bus and left. Officers followed the tour bus to make sure the group left the city. The torch-lit rally comes just a few days after a judge ruled the lawsuit involving the Lee Statue could move forward. 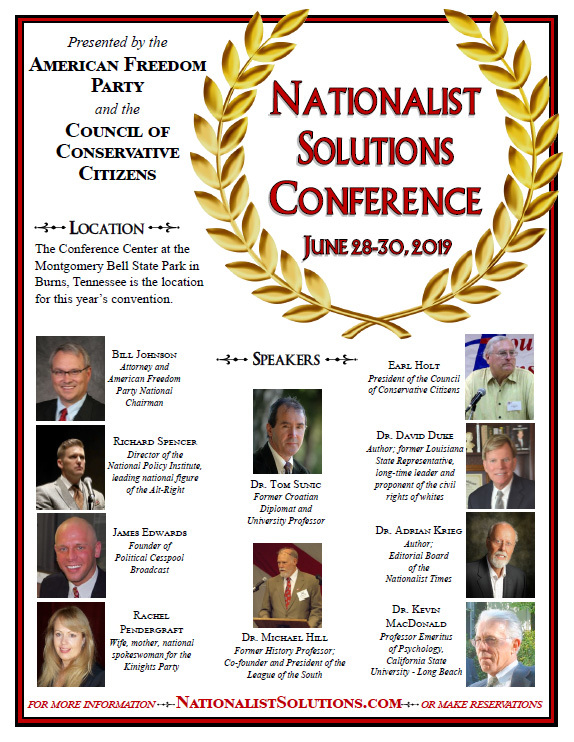 This also comes almost two months after a similar torch-lit rally at the University of Virginia, and the deadly Unite the Right rally on Aug. 12. Several city and state leaders responded to Saturday’s torch lit rally. Signer hinted at seeking legal action against the group by saying the city is examining the legality of the rally. Bellamy also called on Charlottesville Commonwealth’s Attorney Dave Chapman to take legal action against the group of white supremacists. “We continue to oppose these racists and their message of hate,” said McAuliffe. Virginia Lieutenant Governor Ralph Northam (D-Virginia), who is also running for governor spoke out against the rally in Charlottesville. Republican candidate Ed Gillespie did not immediately have a response to the rally. A small group of counter protesters also gathered later in the evening at Carr’s Hill on Grounds, the residence of University of Virginia President Teresa Sullivan, demanding racial justice. Police declared it an unlawful assembly around 11:30 p.m. Saturday, and so far no arrests have been made. The entire rally lasted about 20 minutes. When is the next local election in Charlottesville, and will its citizens do anything about this guy and its traitorous City Council? Time for concentrated flyer distribution in appropriate locales to support the candidates running against the traitors. The dictator in Charlottesville can’t ban people’s freedom of assembly or speech. Good on Spencer for showing up again.